The Golden Citadel of Jaisalmer rises up majestically out of the Thar Desert. This magical city is unlike any other in India and feels like something straight out of ‘A 1001 Nights’! Its massive sandcastle-like fort and the city that surrounds its base, are filled with intricately carved spires, turrets, palaces and temples, which retain a quality that transcends time. Enjoy the hustle and bustle inside the Jaisalmer Fort, explore on foot through the narrow stone paved lanes to discover its secrets. Unlike other forts across Rajasthan, this is a living fort with over three thousand inhabitants still living in centuries-old buildings. 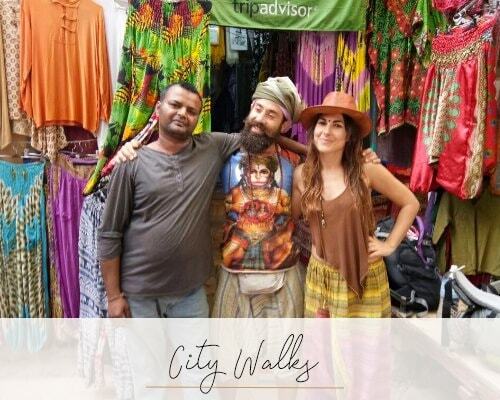 Shop for colourful embroidery, visit the exquisite Jain temples within the fort, famous for its Dilwara style wall murals, or head to the vantage points along the outer walls for beautiful panoramic views of the majestic Thar Desert. On the outskirts of Jaisalmer lie another complex of beautiful buildings, the Barabagh, where the royal cenotaphs of the rulers of Jaisalmer can be found, as well as the ancient city of Lodurva, renowned as a prominent Jain pilgrim center with exquisite temples. 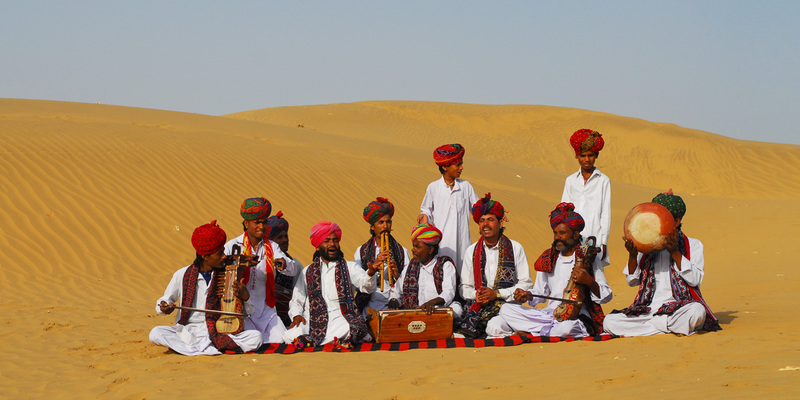 A visit to Jaisalmer is incomplete without an evening spent camping on the sand dunes, listening to soulful music, or trying to keep pace with the dancers from the local nomadic tribes. Watch the sun set over the Thar Desert, ride a camel across the changing landscape of the dunes, while watching the skies change hues in the setting light.